The European Directive on Traditional Herbal Medicinal Products provides new opportunities for herbs to be restored to their former role as popular medicines. “Traditional use” is defined under the terms of the new Directive. It is taken to mean at least 30 years of use anywhere in Europe, or 15 years in Europe if used for at least 30 years elsewhere. It is assumed that the new Directive will be formally enacted around 2009. The 30-year and 15-year periods therefore will start at 1979 and 1994 respectively. This book is the first BHMA guide to the new opportunities. 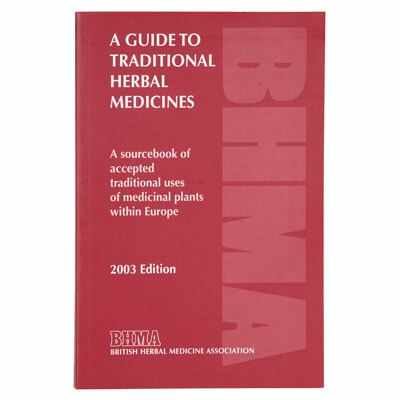 In this volume are formal references to the uses of 263 European herbs that will help to meet the definition of their “traditional use”. These references are notably BHMA during the early 1970’s, and from the French government “Les Médicaments à Base de Plantes” guidelines and the German government’s Commission E monographs. Where herbs are recognised as combinations these are also listed. Other official monographs are referred to. This first volume therefore provides the most orthodox view of traditional herbal reputations. Manufacturers can use the indications provided as a guide to the labelled claims they may seek for their new medicines. Everyone else can see for themselves the wonderful resource that herbs have provided humans for centuries.